AO8™ axle flanges work with our AO8™ style wheels. 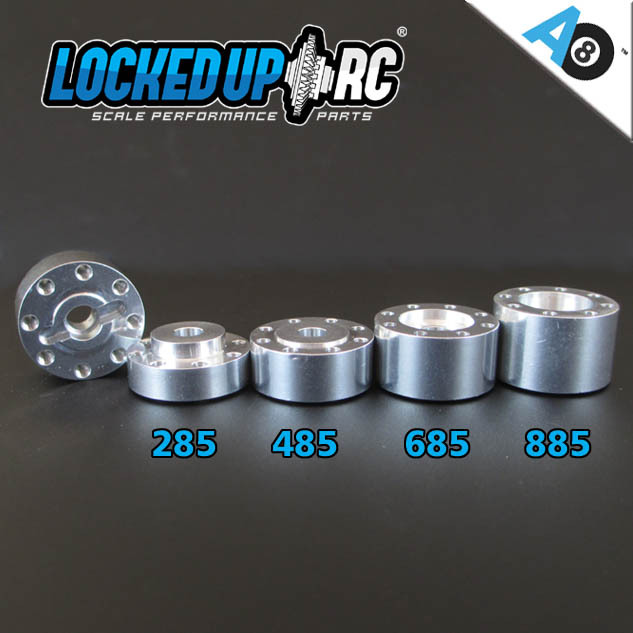 These pin style flanges mount directly to your axle shaft and remove the need for a hex hub. 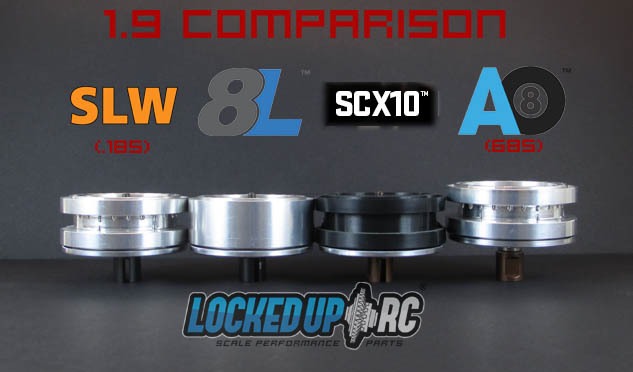 With 685 flanges your AO8™ wheels will have a 4mm negative offset compared to an SCX10 wheel. IE: your wheels stick out 4mm more. 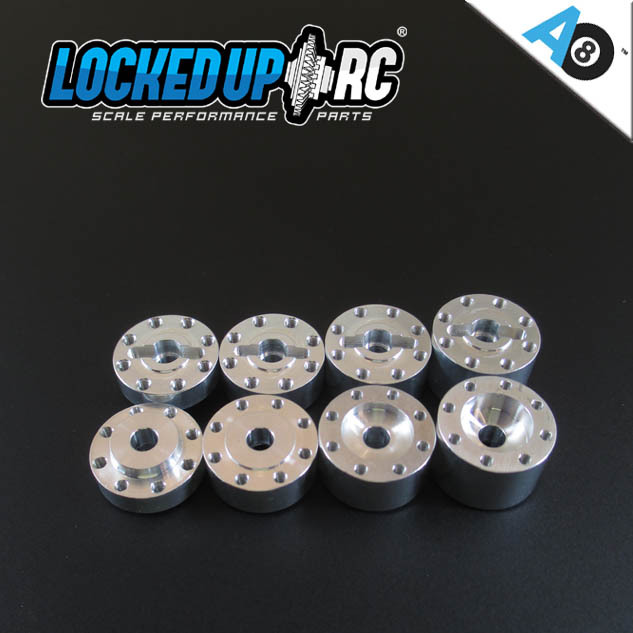 Includes 2 axle flanges (hardware sold separately) which is enough for 2 wheels.